Renting Apple iMacs for an event, exhibition or temporary employee? If you opt for our iMacs rental, then you opt for a powerful and secure Apple PC. The iMacs are equipped with the latest processors and can therefore handle light and intense applications. Flex IT Rent Rent offers the perfect solution: rent iMacs flexibly starting at 1 day until you want. Because of the 5 mm thin screen of and state of the art technology, the iMac is a very reliable and advanced computer. Its use is simple, it has a great deal of memory, and the speed is unprecedented. Our iMacs recently been released and thoroughly tested by our team. That is why you are assured of new, functioning iMacs. Renting iMacs at IT Rent is a smart choice. You always rent iMacs at the most advantageous rates. You can rent various iMac models with us. We stock all standard iMac models. Each model is available in large numbers, to ensure that we can always service you. If you want to rent a special model, we are more than happy to help you. Additional memory is arranged in this way. We also regularly purchase special BTO models for those customers who want to rent extra powerful iMacs for specific period. We are a flexible partner: you can always decide to rent the iMacs for longer or decide to purchase them instead. You can rent for as long as you want and extend the rental period at any time. 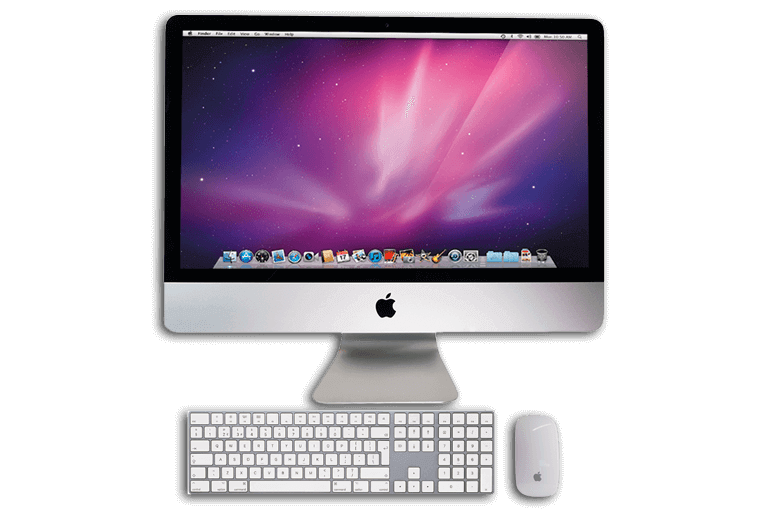 Opt to rent iMacs at Flex IT Rent and use our iMac large stock.